Our Adult Martial Arts Classes Offer A Wide Range Of Self-Defense Skills Including Kali, Aikido, and Karate! Looking for a better way to stay in shape? Hoping to master the basics of real-world self-defense? Maybe you just want a mental challenge that pushes you outside of your comfort zone. No matter what your reasons are for training, we've got the answer at American Defensive Arts Academy. Our Adult Martial Arts program offers men and women across Keller three comprehensive classes with distinctly different disciplines. Take on the traditional skills of American Karate, master the Filipino Martial Arts of Kali, or try something a little different in our Adult Aikido classes. Either way, you'll notice the difference in no time. We know how difficult fitness routines can be. You get excited for a few weeks and then lose interest and give up. With our Adult Martial Arts Classes, though, that boredom never comes, because with each class and each lesson you're pushing your body to be stronger, smarter, and more efficient in everything it does. No two classes are the same. American Karate: Your traditional self-defense discipline, Adult Karate is a total-body workout that teaches you how to strike with power and speed. But beyond that, our Karate classes at American Defensive Arts Academy can help you see incredible results that standard fitness training just can't offer. Adult Aikido: A comprehensive self-defense discipline that teaches strategies for single and multiple opponents. Aikido is a cutting-edge style for any real-world confrontation. But beyond that, Aikido also promotes coordination and mobility that can carry over to any sport or hobby. Kali: A traditional Filipino Martial Arts, Kali teaches students the skills of weapons-based training, including defense in a real-world situation and the proper techniques for competition. From sticks to edged weapons and even open-hand fighting, Kali can give you the best self-defense training around. When you train at American Defensive Arts Academy, you'll join a family of men and women who are dedicated to improving themselves each and every day. And to be our best selves we commit to pushing one another on the journey. That means from your very first class, you'll take on a support system like no other. 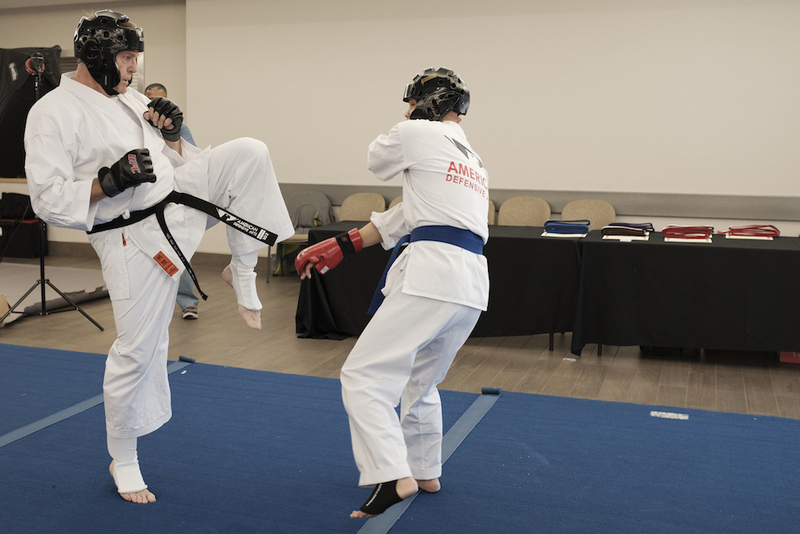 Take On The Area's Best Self-Defense Training With Our Adult Martial Arts Classes In Keller! We work hard every day to help you develop true strength, not over an opponent, but over your own mind and body. 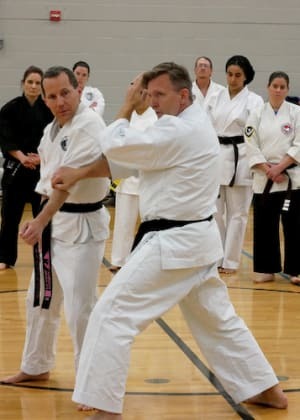 When you join our Adult Martial Arts Classes in Keller, you can count on our experienced staff and dedicated support system to help you get the very most out of every class. Take on the art of Karate, Aikido, Or Kali today and push yourself like never before! Just fill out the short form on your screen to get started today. A member of the American Defensive Arts Academy team will reach out right away to answer all of your questions!